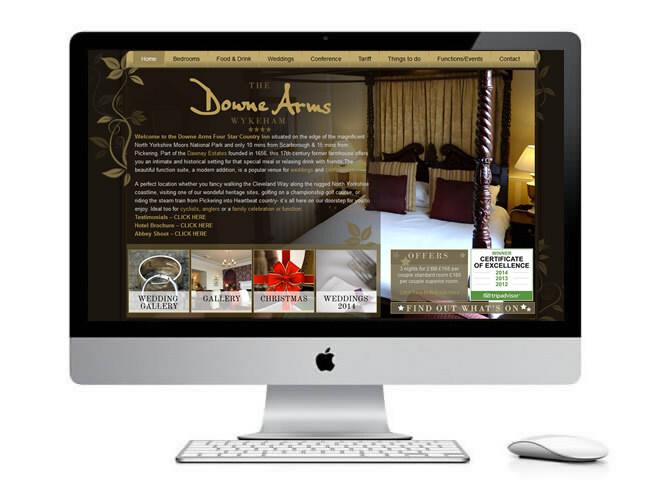 WordPress theme created for the Downe Arms Hotel near Scarborough, North Yorkshire. The brief was to create a website that would fit the majority of screens without the need to scroll down the page. A 10 bedroom hotel all with individual en-suite bedrooms situated on the edge of the North York Moors. The hotel is the perfect venue for weddings and functions.